Booth: K01 300 Parents want this! Learn more about your digestive health with VITAGEN Less Sugar! Join us in defending against bad bacteria in your gut. Sample of VITAGEN LESS SUGAR and Goodie Bag giveaway upon completion of disgestive tract obstacle course! Beat the other participants and be the top challenger of the course! A great introduction to children on nutrition and human digestive system. Participate in the Challenge at Booth K01! VITAGEN Less Sugar is Singapore’s cultured milk drink of choice. It contains 50% less sugar than other regular cultured milk drinks, making it the perfect choice for those who are looking to cut down on their sugar intake. 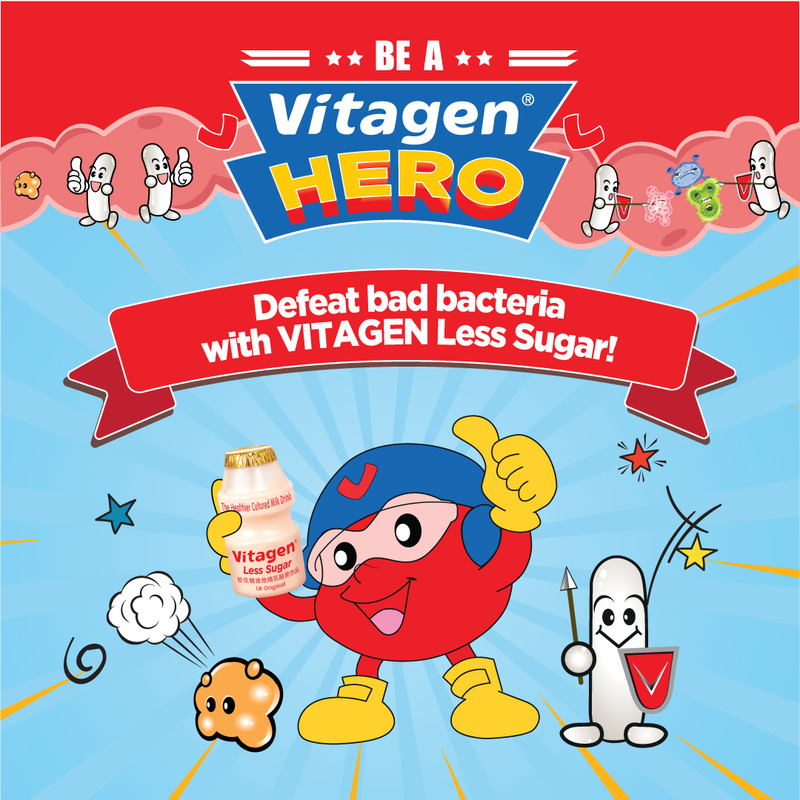 Specially formulated for the health-conscious, VITAGEN Less Sugar is a delicious cultured milk drink that offers great satisfying taste but with 50% less sugar*. Packed with billions of good bacteria, it's the perfect treat to maintain a healthy lifestyle for the whole family! *In comparison to regular cultured milk drinks based on per 100ml. Total sugar test report from accredited laboratories.